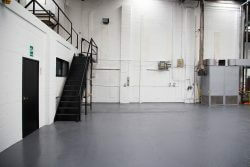 There’s a vast selection of mezzanine floors available to match a wide range of requirements. The bespoke nature of the mezzanine floor is one of the main reasons as to why this system is so practical and robust in regards to its application for your business. The practical applications of a mezzanine floor is to reduce the amount of inconvenience that can be caused by having to move office or warehouse facility. Moves like this can be extremely disruptive for a company and can inconvenience workers and other individuals associated with the business, such as your stakeholders. Rebranding due to a change of location is also expensive and this can make it harder for older customers to find your new premises. A mezzanine floor removes the need to move office. You can utilise space that you have available in your office space or warehouse to create additional working areas as well as fully bespoke areas to fully utilise the space that you have available. It’s a cost-effective way of massively using the space that you have available and the floor space that you can create in your workplace is hugely beneficial. The ease of installation and removal of these flooring systems means that it’s a refreshingly simple way to increase the space that you have available in your workplace. Mezzanine flooring is not only limited to its practical applications. There is a range of safety features that is offered using this flooring system. As these mezzanine floors are set up without having to carry out extensive building work that would have to take place during a conversion. This results in a flooring system that can be set up easily and does not have to have to use a construction setting to be established in your business. 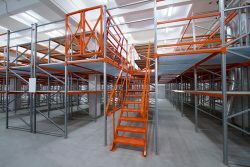 All of the mezzanine floors that we install are fitted and adhere to strict building & health and safety regulations. This ensures that your flooring is fitted safely and securely whilst also not causing risks of injury. Additional features can also be added to your mezzanine floors such as rebar and handrails. Rebar acts as an anti-slipping security feature on metal floors that can become slippery. Handrails allow for an extra degree of safety when walking up and down a new staircase that you have created for example. Gate systems including safety equipment and edge protection can be utilised to make your new mezzanine areas even more safe for your workforce. When May You Require Mezzanine Solutions? The October edition of our mezzanine blog investigates when is appropriate to consider mezzanine solutions. Mezzanine solutions offer a wide range of benefits and applications but you may not be aware of the situations in which mezzanine solutions are appropriate. As previously discussed, if there is unused floor space available in your warehouse, office or commercial premises then a mezzanine floor is the perfect solution for creating additional space for your premises. There is also a range of other situations in which you can utilise a mezzanine solution for your business. In our previous update, we focused on the use of mezzanine floors for warehouse and office applications however there are further uses for mezzanine solutions. Mezzanine flooring is perfect for use in production applications due to the fact that relocation of premises can be extremely costly and counterproductive. Utilising the additional space that you have available in your production area is a great way to expand your production operations without having to relocate or purchase a second premises. Mezzanine solutions have also seen use in automated factories where machinery is in operation on the ground floor of the production area. Mezzanine flooring can be used as storage areas overhead from the production area and this is an innovative use of mezzanine flooring that has been adopted. In these situations, mezzanine solutions are ideal as they prevent the need to change operation location or upscale your base of operations. If you are in the situation in which you can benefit from mezzanine flooring then the next question you may be asking is how can I implement these innovative mezzanine solutions? If you have identified that you require more space within your office, warehouse or production area then you are more than likely considering how you can implement a mezzanine solution. The easiest way to identify if you can utilise a mezzanine solution is if you have vast amounts of floor space or areas in which you could visualise a second level or floor for your building. Overhead space is often utilised due to the fact that there are wide open spaces in these types of areas. In retail situations, a crowded shop can often indicate that you are in need of additional space as a crowded shop floor space can negatively impact customers. You can implement a mezzanine solution to increase the marketability of your products as well as create an impressive shop space for customers. The nature of your new mezzanine flooring is also unique due to the fact that it is completely bespoke and can be created to your exact requirements and budget. This ensures that you maximise the effectiveness of your mezzanine flooring whilst also conforming to your budget. Whatever your requirements, you can utilise mezzanine solutions across a wide range of industries and personal requirements. Contact the team at QA today to find out how you can benefit from using a mezzanine floor for your business.